Location, Location, Location! ABSOLUTE BEAUTIFUL! 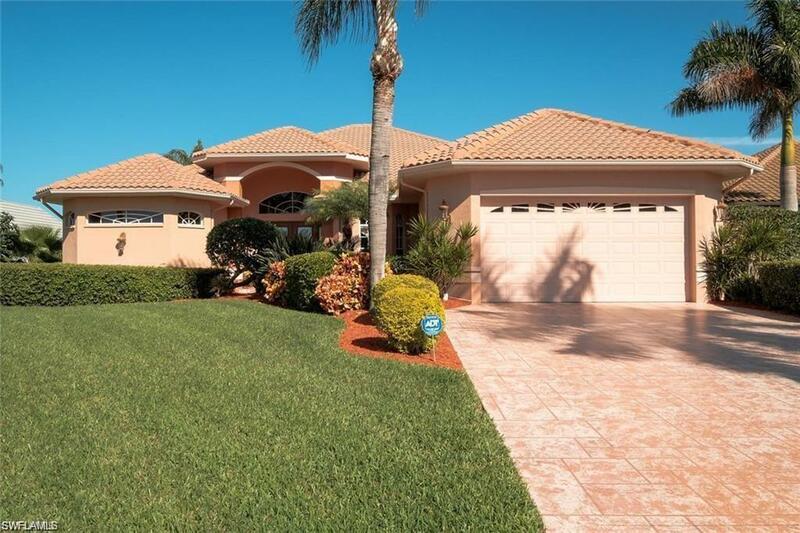 Direct Gulf Access Pool Home. Situated on an Over-Sized Lot overlooking the 240' wide Nogales Canal, "NO BRIDGES", This Custom Built Home Has over 2700sq ft of living area and over 5500sq ft total. Gourmet Kitchen with Huge Granite Counter Tops, Custom wood cabinetry, High-End Stainless Steel Appliances. Open Floor Plan, Soaring Ceilings, and a Beautiful Family Room With Fireplace. The Master Bath Has A Large Soaking Tub and Shower and Walk in Closets. Huge Screened Lanai & Outdoor Kitchen for entertaining guest, Pool/Spa + The pool/bath, Professionally Landscaped Enjoy breathtaking Sunsets from your private dock and Boat Lift. Boaters have quick access to the Gulf of Mexico, Beaches of Sanibel, Captive or Outer Islands. The Original Owners Have Taken Excellent Care Of It! Don't Miss This Home.